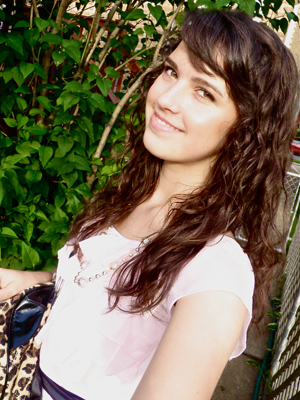 Marcelina Suchocka first appeared as a member of The Percussion Scholarship Group on From the Top with Host Christopher O’Riley Show 206, recorded in Dallas, TX, on November 13, 2009. Since then, she has performed on the show three more times. 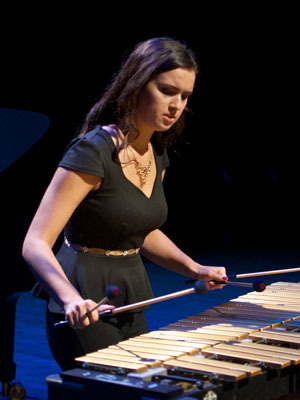 She performed as a member of The Percussion Scholarship Group Marimba Duo with John Ringer on Show 220, recorded in Davenport, IA, on October 12, 2010, when she as also awarded the Jack Kent Cooke Young Artist Scholarship. She then appeared as a soloist and chamber musician on Show 231, recorded in New York, NY, on April 10, 2011; and most recently as a soloist and member of the Excelsis Percussion Ensemble on Show 296, recorded in Washington, DC, on October 24, 2014. Excelsis Percussion Ensemble is made up of Marcelina Suchocka from Chicago, Illinois; Clara Warnaar from California; Mariana Ramirez from Mexico; and Aya Kaminaguchi from Japan. Excelsis Percussion Ensemble is the first international all-female percussion ensemble in New York City. From the four corners of the planet, the love of percussion and performance has brought them together from Poland (Marcelina), Japan (Aya), Canada-United States (Clara), and Mexico (Mariana). From four different countries and four different languages, they came together to speak the language of rhythm. Excelsis invites the world into a celebration of percussion with its pageantry of marimbas, drums, cymbals, xylophones, and vibraphones. Marcelina is a Jack Kent Cooke Young Artist. From the Top and Carnegie Hall: The Big Break Finalists Have Been Announced!